One of Arizona’s oldest standing ranger stations will soon be opened to the public. The ranger station dates back to the early 1900’s. It is believed to be the oldest Forest Ranger Station in existence in the Southwest. In the early years the property’s buildings consisted of the ranger station, the ranger’s residence (currently used as the Museum Gift Shop) and a barn for horses and mules. 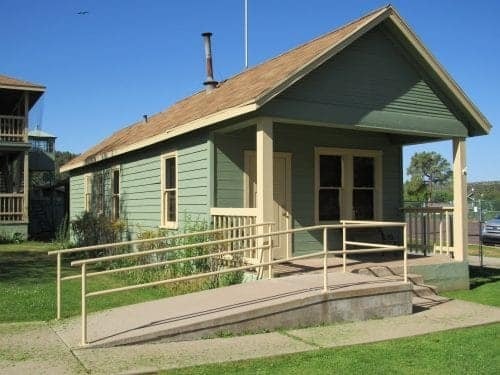 In 1981 the Northern Gila County Historical Society embarked on a quest to obtain the Forest Service land and existing buildings from the federal government. Letters sent to Senators Dennis DeConcini and Barry Goldwater, and House Member Eldon Rudd succeeded in getting the request entered into the Congressional Record. The property was signed over to the Historical Society in 1986. Since acquiring the property the Northern Gila County Historical Society has carefully preserved many items from the days when the ranger station was in use. We are hoping to have the grand opening for this very special piece of Arizona history in conjunction with a FREE DAY in July 2017.